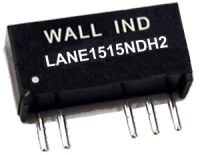 When your application demands low power, minimal board space, and a high level of input/output isolation is necessary, the LANEH2 miniature converters offer superior solutions at an economical price. Users have a multitude of options and operational ratings to choose from in custom-tailoring the converter to application demands. Populating a scant 0.179 square inches of board space, the LANEH2 provides two watts of power while maintaining specifications over the entire commercial operating temperature range. Notes: 1. 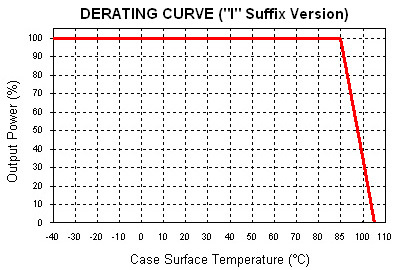 For industrial grade operating temperature of -40°C ~ +85°C add the suffix “I” to the part number. (Ex: LANE2405NH2I). 2. 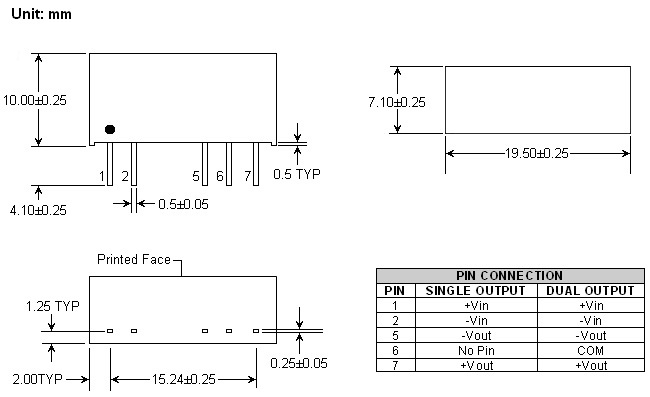 All tolerances for the mechanical drawing are ±0.25. 3. Dimensions of the mechanical drawing are shown in millimeters.